Possibly. My main satisfaction is that the film had an effect on the audiences, and I consider that very important. I don’t care about the subject matter; I don’t care about the acting; but I do care about the pieces of film and the photography and the sound-track and all the technical ingredients that made the audiences scream . . . They were aroused by pure film. 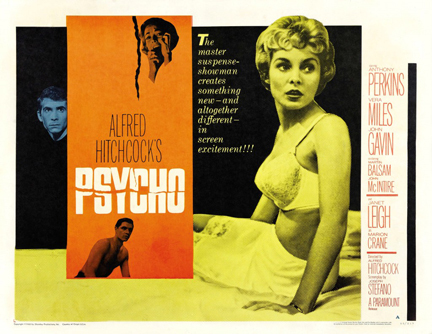 Prof. Schenker’s lectures address aspects of the individual works, characteristics of Kubrick’s art, and ways that participants can be better “readers” of film—more adept at what to look for and see in considering movies as work of art at no cost to their ability to entertain and enthrall us. 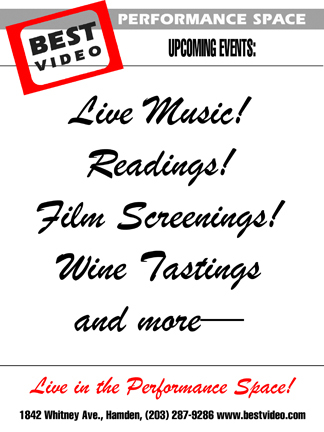 Clips from each of the films accompany the lectures. 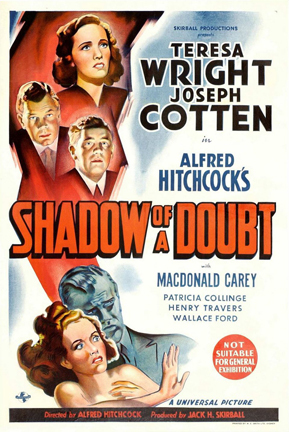 Hitchcock said on several occasions that “Shadow of a Doubt” was his favorite film. 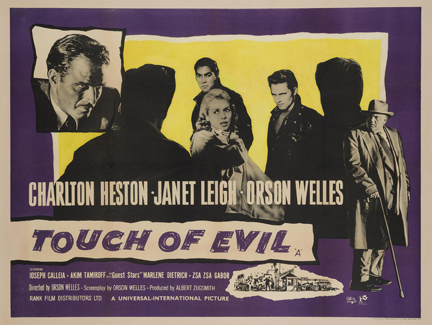 The 1943 movie—set and filmed in Santa Rosa, California—is a psychological thriller starring Joseph Cotten. It was well-reviewed on its original release. The way Mr. Hitchcock folds suggestions very casually into the furrows of his film, the way he can make a torn newspaper or the sharpened inflection of a person’s voice send ticklish roots down to the subsoil of a customer’s anxiety, is a wondrous, invariable accomplishment. And the mental anguish he can thereby create, apparently in the minds of his characters but actually in the psyche of you, is of champion proportions and—being hokum, anyway—a sheer delight. 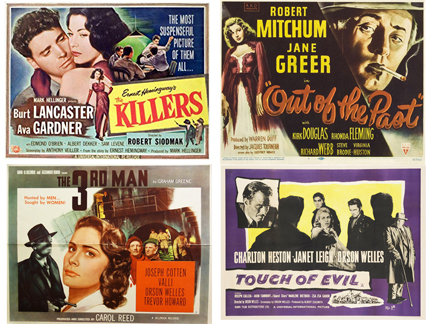 In this fifth installment of his series “How to Read A Film,” Mark Schenker of Yale College presents four lectures on “The Films of Howard Hawks.” All four lectures will be held on consecutive Sunday afternoons at 2 PM, starting on Sunday, July 9. Admission to each lecture is $7. Hawks never consciously aimed for art in his films, and was perhaps quietly amazed that people found it there. But they did. He was never as well known with the public as some of his contemporaries, like Hitchcock and DeMille and Ford. But if you loved movies, you lost a friend the other day. Hawks directed some of the greatest entertainments ever made, and fundamentally shaped the way we perceive many of the great stars. This series affords Prof. Schenker the opportunity to not only delve into Hawks’ directorial style but also to tease out the various genre conventions the director played with. 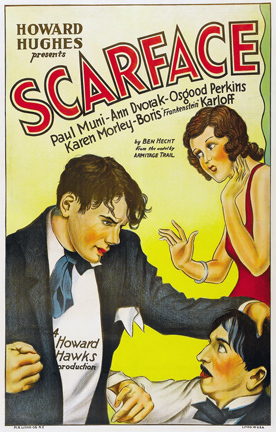 As with his previous lecture series, Schenker will explore highlights of Hawks’ filmography chronologically, starting with the 1932 gangster classic “Scarface.” The 1940 screwball comedy “His Girl Friday,” starring Cary Grant and Rosalind Russell, is the topic on July 16. The film noir “The Big Sleep,” based on the Raymond Chandler novel and starring Humphrey Bogart, is the focus on July 23 and discussion of the western “Rio Bravo” concludes the series on July 30. 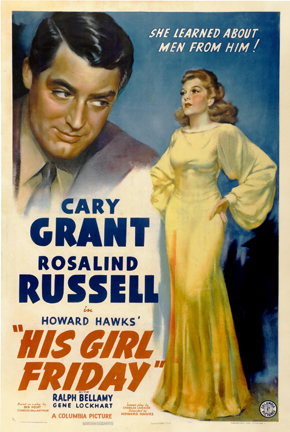 “His Girl Friday,” which stars Cary Grant and Rosalind Russell, is a screwball comedy based on the play “The Front Page” by Ben Hecht and Charles MacArthur. Hysteria is one of the communicable diseases and “His Girl Friday” is a more pernicious carrier than Typhoid Mary. It takes you by the scruff of the neck in the first reel and it shakes you madly, bellowing hoarsely the. while, for the remaining six or seven. Before it’s over you don’t know whether you have been laughing or having your ears boxed. The veriest bit on the strenuous side, if you follow us. Charles Lederer, who wrote the adaptation, has transposed it so brilliantly it is hard to believe that Hecht and MacArthur were not thinking of Rosalind Russell, or someone equally high-heeled, when they wrote about the Hildy Johnson who once had a printer’s ink transfusion from a Machiavellian managing editor and never again could qualify as a normal human being. Mark Schenker’s lectures are accompanied by clips from the films to illustrate the points he is making. 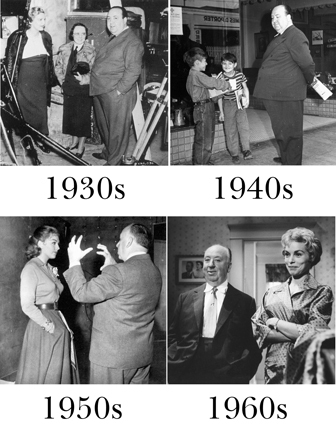 His previous lectures on the films of Alfred Hitchcock, Stanley Kubrick, and Billy Wilder and the historical context in which the TV series “Downton Abbey” took place were erudite and entertaining. Howard Hawks on the set of “Bringing Up Baby” (1938). 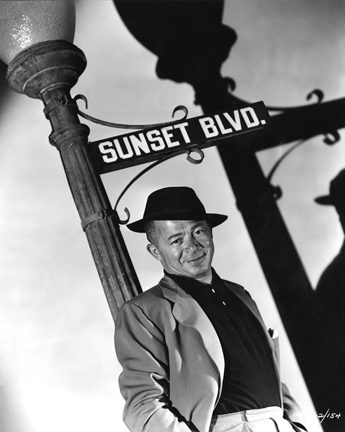 In this third installment of his series “How to Read A Film,” Mark Schenker of Yale College presents four lectures on “The Films of Billy Wilder.” All four lectures will be held on Sunday afternoons at 2 PM, starting on Sunday, June 12. The lectures will run on consecutive Sundays with the exception of the final one, which skips the July 4th weekend and takes place on Sunday, July 10. Admission to each lecture is $7. Born in Austria, Wilder moved to Berlin in the late 1920s. 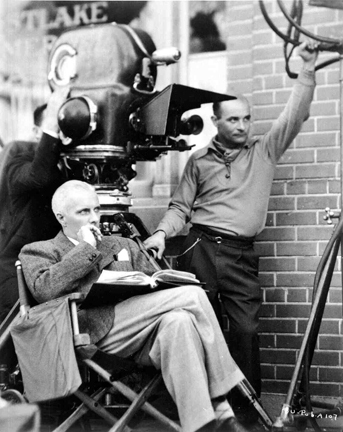 He became a newspaperman but was drawn to film, collaborating on the feature “People on Sunday” in 1929 with Fred Zinneman and Robert Siodmak. With Hitler’s rise to power in 1933, Wilder—who was Jewish— left first for Paris and then to Hollywood. Although he spoke only 100 words of English when he arrived in the United States, he broke into the business initially as a screenwriter with a deft feel for plot and character. 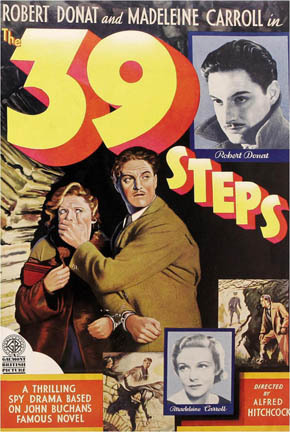 His first film as a director was “The Major and the Minor” (1942). The groundbreaking film noir “Double Indemnity” (1944)—co-written with iconic mystery novelist Raymond Chandler—was a career-maker for Wilder and established many of the conventions of the genre. His films are timeless because they rarely stooped to easy sentimentality. He anticipated and helped invent the modern age of irony. There was a jaundiced view of human nature, a dubiousness about too much sincerity. Mark will be discussing four Wilder films: “Double Indemnity” (1944), “Sunset Boulevard” (1950), “Stalag 17” (1953), and “Witness for the Prosecution” (1957). Mark Schenker’s lectures are accompanied by clips from the films to illustrate the points he is making. 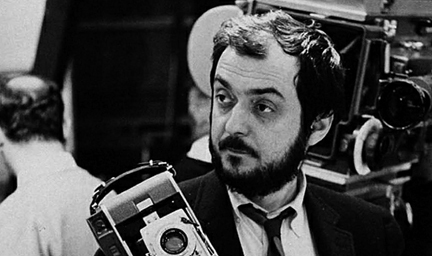 His previous lectures on the films of Alfred Hitchcock and Stanley Kubrick and the historical context in which the TV series “Downton Abbey” took place were erudite and entertaining.